To book an appointment please contact Kimberly at 613-791-1311, or by email at kimberly@mantasyoga.com. Yoga therapy is an empowering process to increase the individual’s capacity to heal through the application of movement, breath and stillness. In yoga therapy, the individualized and specifically integrated techniques of yoga help clients facing pain and health challenges to support themselves to reduce and eliminate symptoms, increase vitality and improve their attitude and emotions. Creating more function and ease in the body and mind is a primary objective of private yoga therapy, so the client can fully enjoy their life and activities. If you have pain, fatigue, tension and stress, and feel it is getting in the way of leading the life you want to lead, then Therapeutic Yoga methodologies can provide a path to becoming more mobile and reducing pain. Kimberly works with individuals from a wide spectrum of abilities and backgrounds, from athletes to those with limited movement, chronic pain, illness, and injury. Your session and personal program will be developed from your current state of health and function to specifically help you improve on your own abilities. 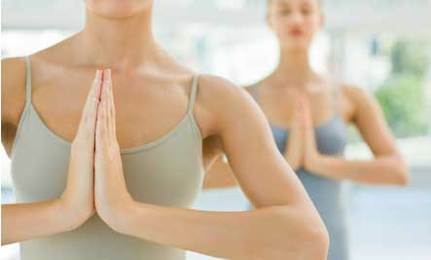 Therapeutic Yoga is a balanced approach to movement, using specific movements, traditional postures, breathing techniques, stillness and meditation. Kimberly Mantas is a Certified Yoga Therapist (C-IAYT) and a Yoga Alliance (E-RYT 500) certified yoga teacher, specializing in individual yoga therapy, meditation, restorative, nidra, philosophy and ayurveda, and hatha yoga. As a full-time yoga therapist, teacher, and yoga teacher trainer, Kimberly works with the vast tools of yoga to improve wellbeing and ease physically, emotionally, and mentally through movement, breath, and stillness. She works with a wide range of individuals including those with pain, injury recovery, stress and anxiety recovery, brain injuries, autoimmune disease and issues, nervous systems conditions, and sports performance improvement.